Skoda has revealed its upcoming Kamiq SUV ahead of its official debut at the Geneva Motor Show. The compact SUV can be dubbed as a smaller Kodiaq as it does borrow design cues from its larger sibling. The Kamiq is the first SUV to be based on Volkswagen’s MQB A0 platform, the very same platform that Skoda has been tasked to localise. The Kamiq will be the first product based on the A0 platform to be launched in India. 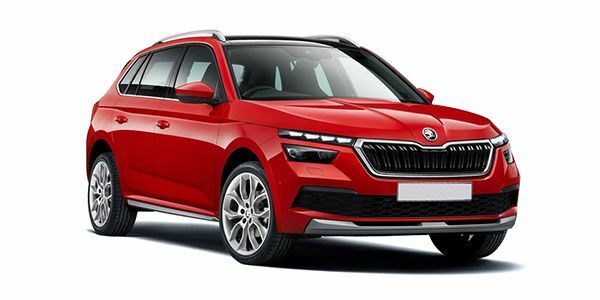 Even though the company will offer the Kamiq with various powertrain options in international markets, in India, however, Skoda is likely to offer the SUV with its current engine lineup. It consists of a 1.6-litre naturally aspirated petrol and a 1.5-litre TDI diesel engine. The company could even introduce the 1.4-litre TSI from the Octavia lineup as well. Transmission options will include 5-speed and 6-speed manuals along with 6-speed and 7-speed DSGs. Inside, it will come with Skoda’s Virtual Cockpit digital instrument cluster and a touchscreen infotainment system. The overall layout is quite similar to the one we saw on the Scala. When launched, the Kamiq will rival the Hyundai Creta, Nissan Kicks and the Renault Captur. However, it is expected to overlap the Tata Harrier when it comes to its prices. Share your experiences with Kamiq? India Vs US-Spec Hyundai Venue: What's Different?